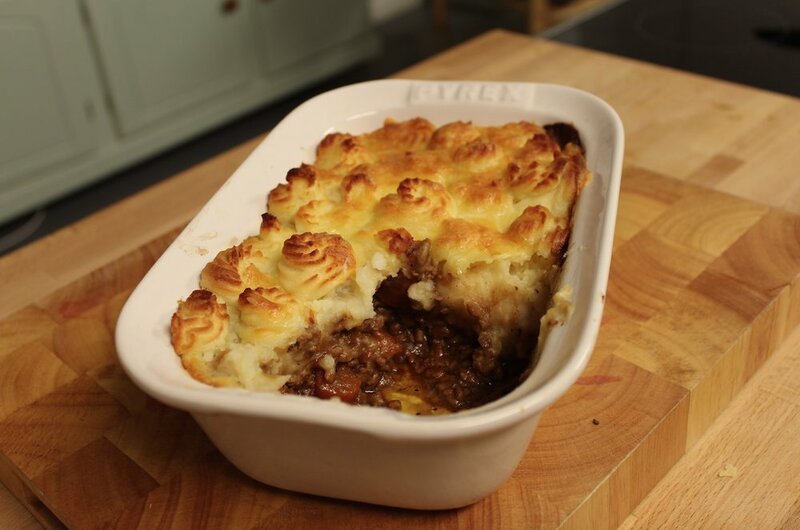 Shepherds Pie is definitely a classic comfort dish to me, and also one of my Dad's favorites. There are 2 stages to making this dish. Start by making the meat filling as this is better if it has a longer time to cook and simmer. If you like lot’s of sauce you can add a little more beef stock. Serve with peas and veggies and enjoy!